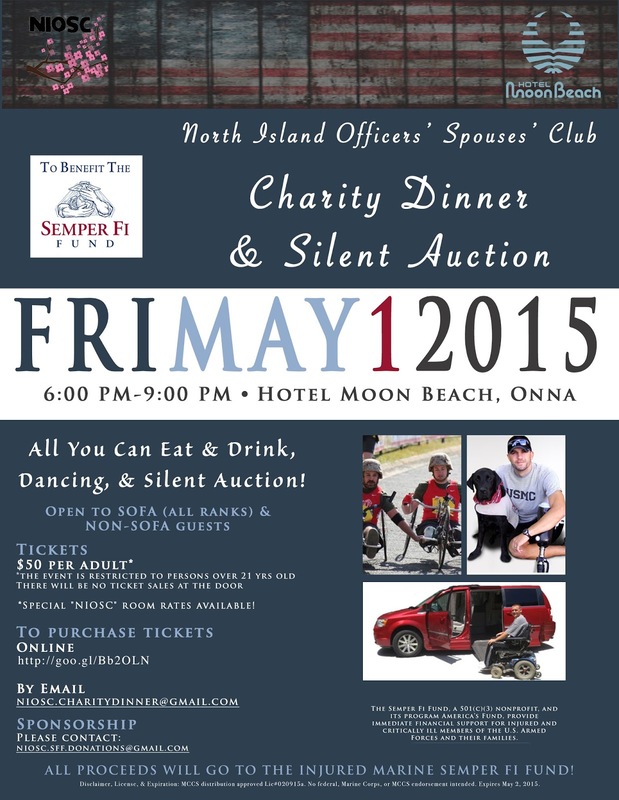 On May 1st, the North Island Officers' Spouses' Club will be hosting the 4th annual Semper Fi Fund Golf Tournament and Silent Auction Dinner. As the President of the club and supporter of the SFF, I'm really rooting for this event! The tournament and silent auction have had great success in the past and we're hoping to keep that momentum going. We'll kick off the day with the Golf Tournament at Taiyo Golf Course where we'll award 1st-3rd place, closest to the pin, and longest drive. Following the tournament, we'll have lunch for everyone that participates! That evening, there will be a silent auction and dinner at Hotel Moon Beach in Onna. We'll have some great items up for auction, dinner, and dancing in the ballroom overlooking the ocean. It's going to be a great night and you won't want to miss it! Both events are open to all ranks, SOFA, and non-SOFA personnel. 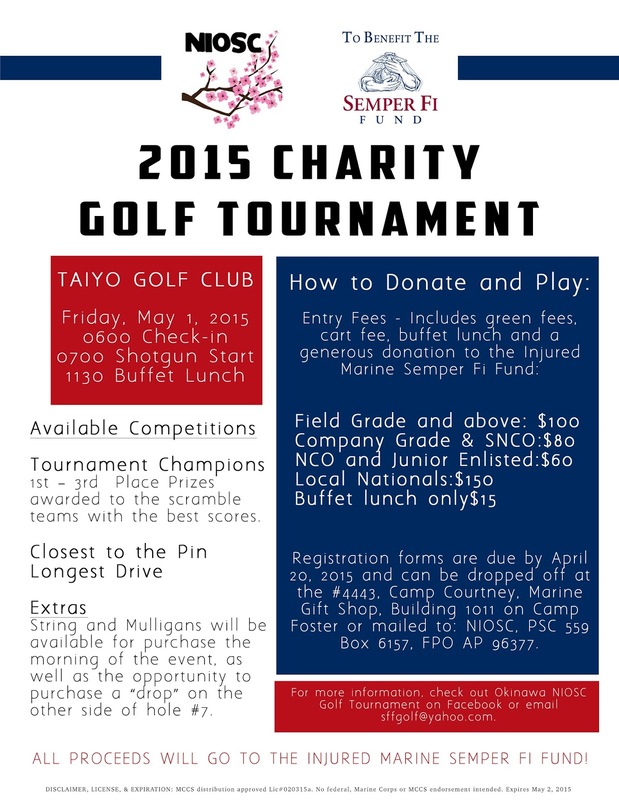 Golf registration forms, tickets for the dinner, and donation information can be found on the NIOSC Charity blog. There's also a one-night stay up for grabs if you register and pay for your spot in the golf tournament by April 20th! For more details, visit the NIOSC Golf Tournament Facebook page.